If you want to kill it in your business then you need an email marketing tool in order to build and maintain your customer lists. A list is one of the most valuable items for a business owner and if you’re serious about your business then you need a great tool to collect those subscribers and set up your autoresponder like a pro. GetResponse is one of the most widely used email marketing tools in the world and with this video course, you’ll be set up and ready to rock it in no time at all. 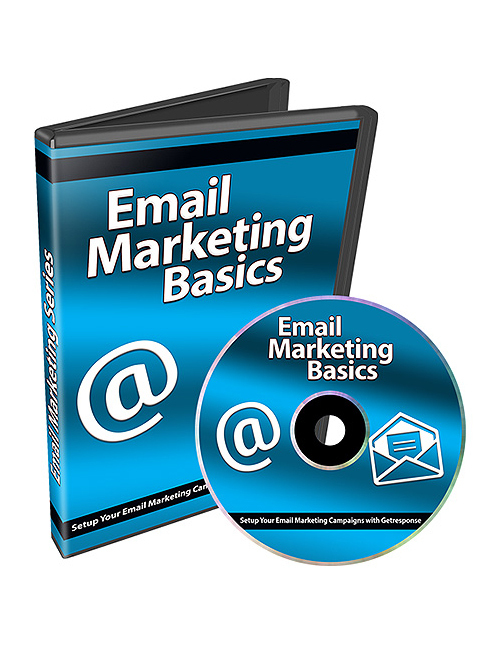 In this comprehensive 10 part video course, you will learn everything there is to know on top of setting up your email autoresponder in order to collect names and emails. You’ll discover how to build your list the right way like an elite level marketer, how to sell to your list, how to identify problems and create solutions, how to win the trust of your customers and be an authority in your niche, how to set up your emails and web forms and much more. This course is chock-full of both the technical aspects of putting everything together along with the marketing aspects in growing your list successfully. You want to grow a list full of targeted customers who actually want to be on your list and who love what you’re selling and who trust you fully. That doesn’t happen in a span of a day. But with this course, you’re going to reach that point much quicker. This course is the real deal so when you’re ready, hit the download button.